PACIFIC OCEAN (NNS) -- U.S. Army pilots with the 1st Battalion, 228th (1-228th) Aviation Regiment successfully completed annual deck landing qualifications (DLQs) for two of their UH-60 Blackhawk helicopters aboard Arleigh Burke-class guided-missile destroyer USS Lassen (DDG 82), April 14. 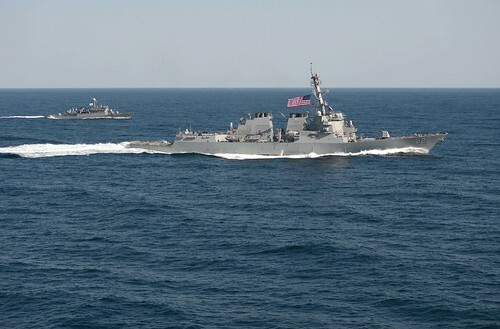 GULF OF MEXICO (NNS) -- Guided-missile destroyers USS Jason Dunham (DDG 109) and USS Lassen (DDG 82) tested counter-unmanned aerial system (C-UAS) capabilities during exercise Black Dart off the coast of Destin, Florida, Sept. 20. 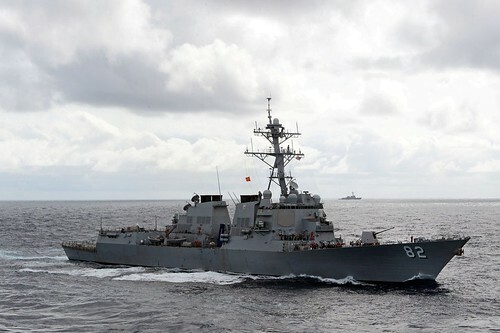 Arleigh Burke-class guided-missile destroyer USS Lassen (DDG 82) arrived in the U.S. 4th Fleet area of operations to begin conducting counter illicit trafficking operations in support of Operation Martillo, March 2. 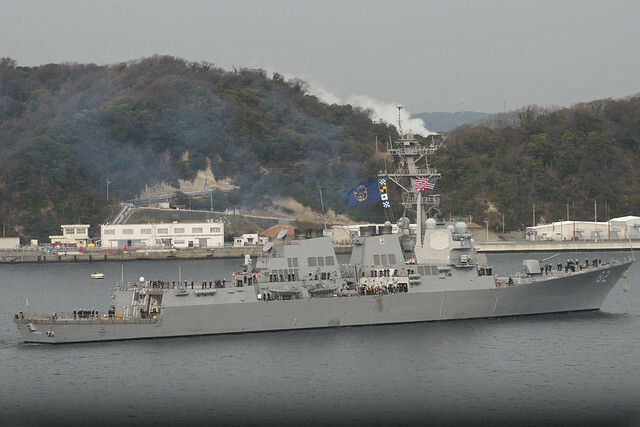 YOKOSUKA, Japan (NNS) -- Arleigh-Burke class guided-missile destroyer USS Lassen (DDG 82) left Yokosuka, Japan after nearly 10 years in the Forward Deployed Naval Forces. 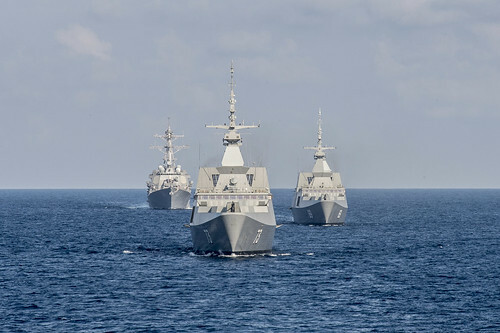 SOUTH CHINA SEA - The Republic of Singapore Navy’s RSS Intrepid (69), right, RSS Supreme (73), center, and the USS Lassen (DDG 82), left, trail USS Fort Worth (LCS 3) during the underway phase of Cooperation Afloat Readiness and Training (CARAT) Singapore 2015. SOUTH CHINA SEA – The USS Lassen (DDG 82) continues to patrol the South China Sea in support of security and stability in the region.